Some folks would rather order single cigars before committing to a full box... but with an ever-growing variety and a warehouse the size of North Dakota loaded with thousands of premium smokes, it can be a daunting task. Not to mention that sometimes it takes a couple of stogies to decide if you really like the brand. Thanks to some simple ingenuity and a collaborative effort with cigar makers, we now have the solution: The Cigar 5-packs! 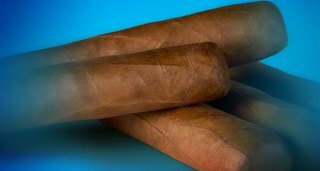 These pre-packs come from a wide range of factories, and contain five of their most popular cigars. And, as is JR's tradition, you’re saving yourself a few bucks on all of our private label brands.